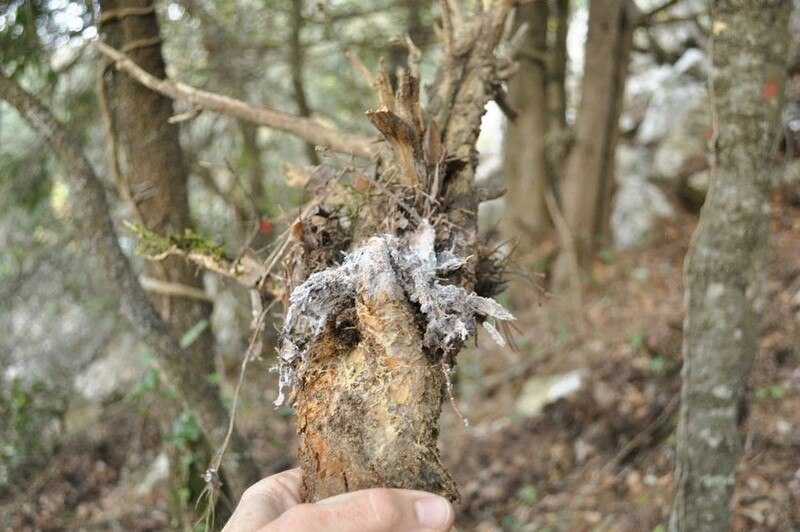 The aim of the action is to prevent the spread of infection by the fungus Armillaria by pesticide treatments in Miseclòs (Alta Garrotxa), Llaberia and Poblet. Miseclòs: 22 yews have been pruned and 4 deaths have been removed. Llaberia: 100 dead yews and 73 adults have been pulled. Poblet: 10 young isolated yews have been removed.